Often overlooked, domestic water heating can account for 20% of the average families utility cost. On demand water heaters are more efficient as they do not suffer from the standing heat losses of a storage tank. If you have a conventional heater with a storage tank, the standing losses can cost in excess of $100 a year. 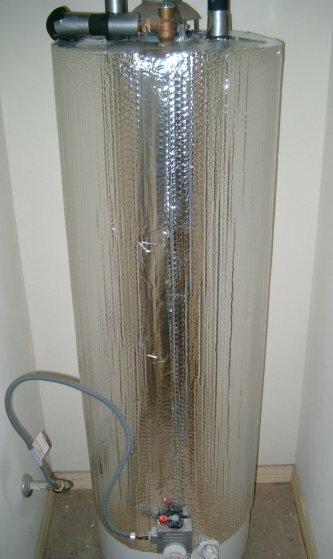 A water heater insulation blanket can reduce these standing losses, offering water heater blanket energy savings of as much as $4.00 a month on an electric tank. In addition to the heat reflecting Radiant Barrier properties, this water heater insulation wrap has an R-Value of R-6.5*.